In the past 12 months, midstream MLPs have boosted distributions 7.5%, despite the rapidly falling price of crude. 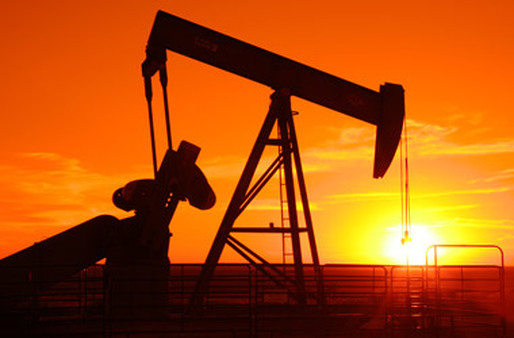 Low oil prices are spooking energy investors. Those tracking the performance of master limited partnerships, namely moving and storing oil and natural gas, insist that market volatility, interest rate concerns and even low oil prices won’t stop the group’s distribution growth. “Long-term investors, if can they can withstand the volatility … will be rewarded for staying the course in the asset class,” said Jeremy Held, director of Research & Investment Strategy for ALPS Portfolio Solutions, during a webinar Wednesday. While MLPs trade as equities, they also pay distributions back to stockholders, referred to as unitholders within the industry. Their structure allows them to avoid taxation through such distributions. “Keep in mind during volatility to focus on the fundamentals of the space,” said Emily Hsieh, a director for Alerian, which manages the Alerian MLP Infrastructure Index. In the long term, the fundamentals for companies building and managing the energy infrastructure “still remain intact,” she adds. In 2013, oil prices ranged from $92 to $117 a barrel and distributions rose 7.3%. In 2014, distributions improved 6.8%, when oil was priced at $59 to $106 per barrel. In the past 12 months, distributions have increased 7.5%, while oil has seen its price limited to about $43 to $60 a barrel. On a quarterly basis, midstream distributions jumped 1.9% in the second quarter of 2015, up from 1.5% in Q1’15 but down slightly from 2.1% in Q2’14. Both Held and Hsieh acknowledge investors’ concerns with declining commodity prices, inflation and a hike in interest rates. “But at the end of the day what matters most to many MLP investors is the stability of the distribution … and [midstream] MLPs have been able to keep and grow distributions in all environments,” Held said. Overall, factors supporting midstream MLPs include stable, inelastic energy demand and the demand for more infrastructure to support U.S. energy independence and expand shipments of natural gas within the country. In addition, investors can use MLPs as “real assets … and as a great hedge [against] inflation,” Hsieh explains. This is due to the fact the MLPs have inflation-indexed contracts for their products and services. In July, all MLPs operating pipelines were allowed to raise their fees 4.58%, she adds. “Every July, there is a federally mandated tariff increase for pipelines, which includes the PPI,” or Producer Price Index, Hsieh explained. In other words, such a shift seems to be at least a few months away.